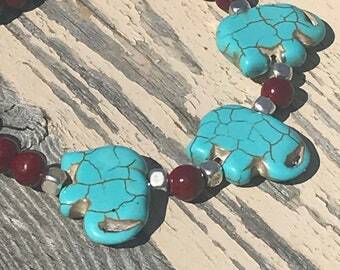 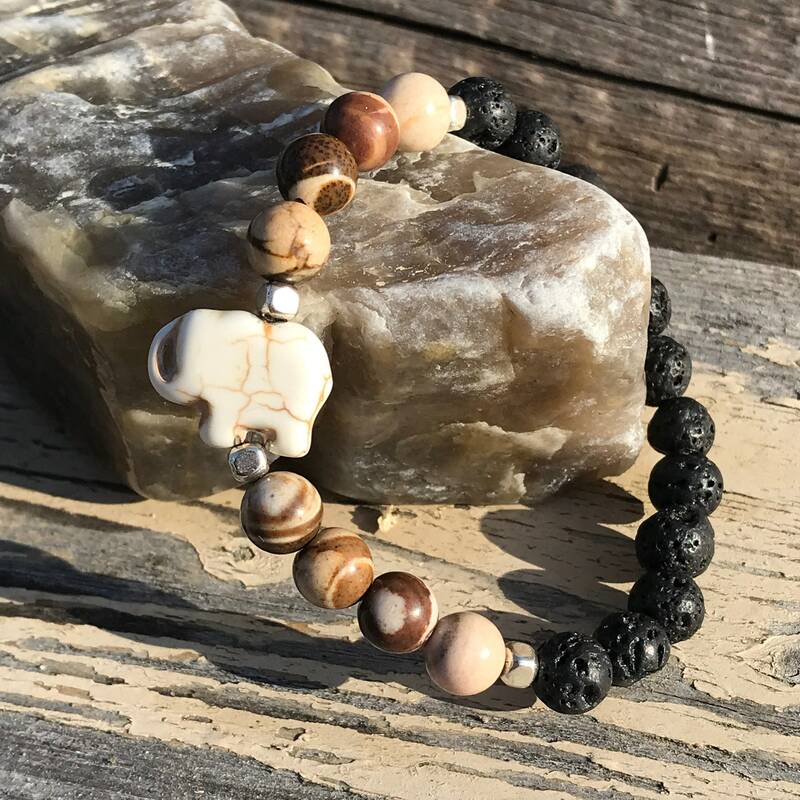 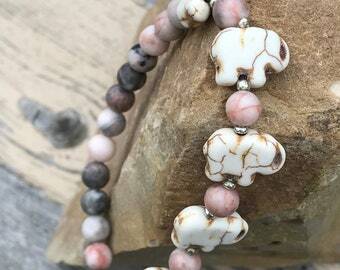 Adorable elephant carved from white howlite stone paired with striking 8mm zebra stone beads, also knows as zebra jasper. 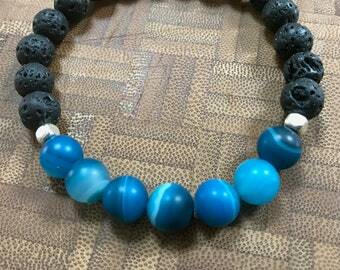 Silver cube spacer beads and AAA grade 8mm black lava stones. 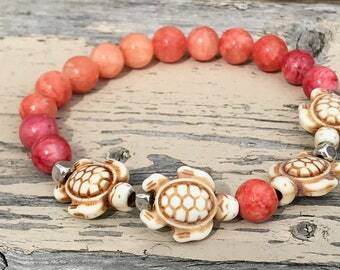 Bracelet measure ~ 7.5" and fits comfortably on a wrist measuring 6 - 6.75". 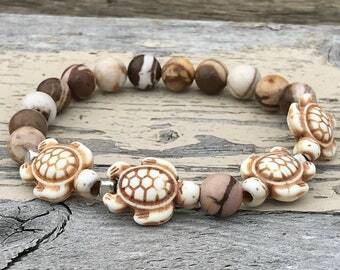 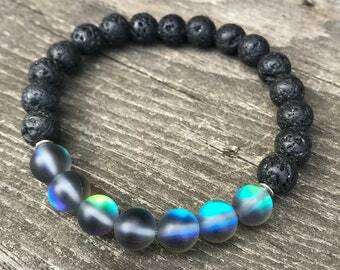 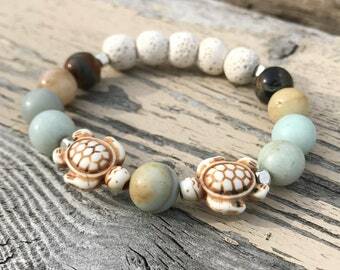 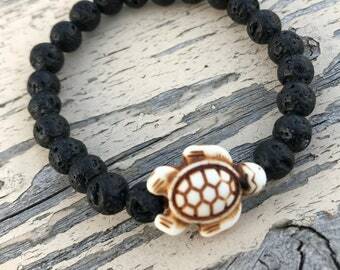 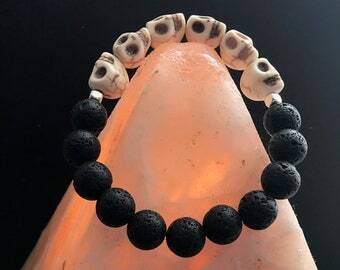 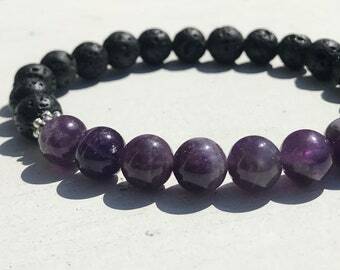 To use this bracelet as a diffuser, add a drop of oil to a few of the black lava stone beads and allow to dry for a couple of minutes prior to wearing. 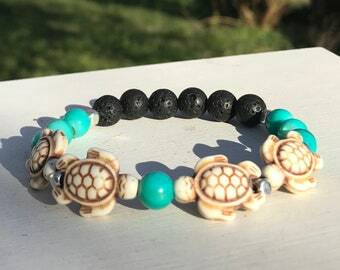 The porous lava stones absorb the oil and are perfect for all day diffusing.